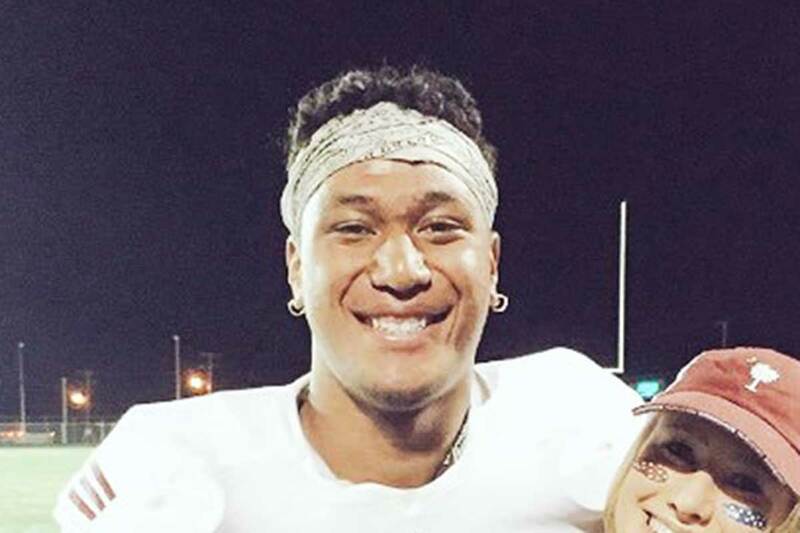 BYU got a verbal commit from 6-foot-6, 255 pound TE/DE Tevita David Fotu in December 2016 (Class of 2018). Fotu preps at Herriman High School, where as a junior (2016) he had six receptions for 64 yards and a touchdown, and 41 tackles (10 solo) with 5.5 tackles for loss, 3.5 sacks, five quarterback hurries, and a forced fumble. Fotu is rated 3-stars by Scout, 2-stars by Rivals, and is not yet rated by ESPN. He is the brother of University of Utah defensive end Leki Fotu and teammate of BYU commit Jaren Kump. Class: 2018 HT/WT: 6’3”, 215 lbs. If you have any additional information or insight about this recruit, please include it in the comment section below. For more about the BYU Football Class of 2018 Click Here.